Having said, you may have understood that Dutching involves a lot of risks related with the Operational & Account Restriction. Although you can make decent profit as long as you carefully manage these risks, you may want to consider the better way to create maximum income by resolving the above both risks, which is explained in the next section. Now, I’ll draw up possible best method to create solid extra income from the Dutching by addressing to the above 2 risks. First, let me explain Bet Exchange & Reverse Dutching (aka Bookmaking). Traditionally betting has occurred between a customer and a bookmaker where the customer ‘backs’ (bets that an outcome will occur) and the bookmaker ‘lays’ (bets that the outcome will not occur). 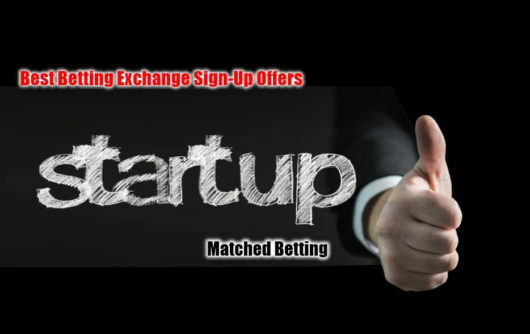 Betting exchanges have introduced a new method to gamble online cutting out the traditional bookmaker by creating a platform for individuals to bet against each other. In other words, Betting Exchanges allow an individual to become a bookmaker and ‘lay’ bets, offering odds on an event happening (much in the same way a bookmaker will as shown in the above image sourced from BBC article). The benefit is that the odds at a betting exchange are on average 10 – 20% better than they would be at a traditional bookmaker (be noted that exchanges take commission of 2-5% that bookmakers don’t, even discounting this commission the exchange usually gives you better odds) More importantly for the Dutching, betting exchange does NOT need to care whether you are doing arbitrage, dutching or not / how much money you consistently win. They will never try to identify such sharp bettors / price traders because, they don’t make money through betting margins (simply put, the exchanges are not market makers means they are not the ones who pay to winners but your betting counterparts are the ones who pay to you when you win), they just take a straight commission off your winnings – calculated as a percentage on winnings, so they want you to place as many bets as they can get from you. Therefore, they will never ‘restrict your account’ because the bet limits are set by the other users who offer the bets. This is true of all betting exchanges. There are far fewer number of betting exchanges compared with bookies. 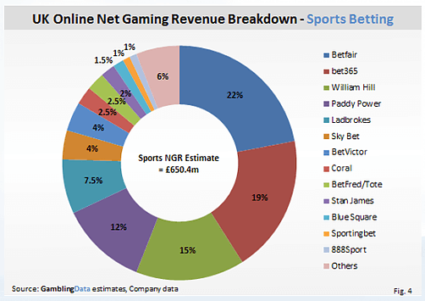 is a creator of the exchange market started in 2000 and has been leading this category with a dominant market share in the world (in fact, it achieved No.1 position in the whole UK betting industry as shown in the left graph, it recently merged with bookmaker giant Paddy Power), followered by Betdaq. For the availability of Betfair in your country, see the list at the end of this section. Reverse Dutching (Bookmaking) sounds complicated but is exactly the same technique as the Dutching and simply uses “lay bets”. In this case the bettor will lay all the unlikely outcomes, guaranteeing a profit on the favourites. All of the same principles apply, the more selections you lay the more likely your bet is to succeed but the less you will win. Meanwhile the fewer selections that you lay, the less likely you are to win but profitability should increase per bet. You can do it only in Betting Exchange because conventional bookmaker doesn’t allow you to do Bookmaking (laying) but only backing. Needless to say, this additional strategy widen your betting choice & flexibility. You now understand the above 3 big advantages to use the betting Exchange rather than conventional bookmakers for Dutching. Now let’s turn our attention to software. You can do Dutching manually by using the above calculator as long as you have enough commitment (means sufficient time to get used to the process to avoid careful mistakes which will damage your profit significantly). Otherwise, you may consider to let the reliable software handle it for you, which will bring about a quick & painless process. Allow me to reiterate that the margin for error is far more significant. You may want to check the following 3 Software for the Betting Exchange that are supposed to be the most reputable in the industry (all are designed to process Dutching efficiently). Probably, it’s the most established software in its kind and has been highly admired by many seasoned betters. It allows you to automatically submit the bets based upon price and weight of money, say automatically lay the 3rd favourite in all races 2 minutes before the off if the price is greater than 7.0 and less than 10.0 etc. Its automatic functions include greening, cancel bets, close bets, place lay or back bets, use offsetting and stop settings. Trial of Pro version to explore its true capability. Betfair Official Partner / Exclusive Android App for both Dutching & Bookmaking. Betfair officially recommends this software for Dutching & Betmaking in Betfair’s own site. It has stop/loss function, by setting certain parameters, you can place your bets and log-off safe in the knowledge that they will only loss a predefined amount if things go wrong. You can access 30 days Free Trial, and also you can use a practice mode anytime in addition to the live trading mode, which allows you to practice your trading strategies without risking any money. Affordable pricing is appropriate for newbies. This bot offers you automatic dutching of markets by pre defined rules, and dutching calculator functionality. 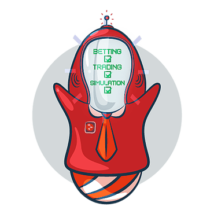 Bot also supports staking plans and overall loss pot recovery. One of the unique features is Bet Adviser Bot which places bets on selected Bet Advisor tipsters tips automatically Bet Adviser is a Tipster List Site Programme to see the list. What’s your motive for Sports Betting? Money or Fun? If you do solely for fun, you may not need to read this article, but if you’re interested in making money from it, yes you came to the right place. Let sports bet trading machines generate the bet for you. The purpose of this article is How To Exploit The Potentiality of Betfair to Create Solid Extra Income Stream using Top Quality Software. It will only place bets if the odds, number of runners and other criteria are with in your set range. If a selection doesn’t fit with in your ranges a bet will not be placed and the software will move on to the next race. You can choose to select the 1st, 2nd, 3rd etc. favourites OR named individual selections in a race. You can also apply various staking plans depending on your preference. You can also run special strategies to customise the selection process. You can use your own systems or strategies or use tipsters to get your selections. You can even test out systems or tipsters using the powerful simulation mode to simulate results. Tipster services can send out their bets in a small text file so when their customers load races all selections are already chosen. Greyhounds are notoriously difficult to predict so all you need is a few of these to lose and you’re on your way to raking in daily cash. There is normally racing everyday from 11am until 10pm with 60+ races. You can even test out the tipster services, laying systems or your own strategies by using the fantastic simulation mode, which works exactly as normal but doesnt actually place the bets, so you can see how successful the strategy is, with out risking a penny!Or try your strategy for real using small stakes as low as 10p. I’ll briefly explain each technique and see why these are appropriate for automatic trading using softwares. Why would we want to back and lay the same selection? The critical factor to understand here is that if you lay at a lower price than you back a selection at you will make money. This is because you are laying liability at a better price than you are backing it, thus netting the difference between the two. People call this activity ‘trading’ because it’s essentially similar to spread betting on financial markets. Trading is still gambling, but it is gambling on the movement of odds rather than whether something is going to win or not. The big advantage with trading is that you can profit without specific knowledge of the underlying sport, before the event has started and regardless of who actually wins the event you are betting on. That’s a revelation to a many traditional sportsbook punters. When you back something you are betting on it to win, lay something and you are doing the opposite, betting on it to lose. Using the Exchange you can decide the price at which you want to do either, you are under no obligation to take what is on offer. It’s really your question as to what price you want. When you know what the ‘value price’ is, you simply offer that bet to the Exchange and wait for it to be taken. If nobody takes your bet it simply lapses when the event you are betting on starts. It’s that simple. Backing or laying more than one selection is obviously going to get you a higher success rate chance of profiting than just backing on laying one selection in a market. The most common method of doing this is ‘dutching’. With Bet Angel’s advanced dutching you turn backing on its head. You choose to back as few or as many selection as you wish for a designated profit target and Bet Angel will tell you how much your stake will be. Picking one winner from 20 selections is tough, five from 20 much less so. BetAngel plugs in to BetFair and analyses data from the exchange including form, horses’ behaviour and how much money is being traded. An annual subscription costs £100 and the company has six employees, though Mr Webb says he makes most of his income from proprietary trading. sports bet trading. It involves betting for or against an outcome in the expectation that the odds will move in a particular direction, before making the opposite bet to close a position and lock in a return. available all the time, and Mike keeps you informed about them all, and ex1plains in simple English what you have to do to exploit them.  Profit Target – You should be able to make a four figure capital sum to start with, and then add a regular monthly income of around £250 via reloads and refund offers. And all you have to do is ‘do as you’re told’ by Mike! 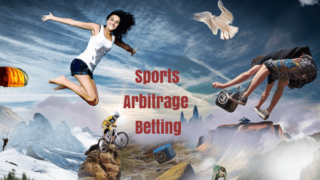 The above 2 guidances especially 1) C. Verify Bet & D. Place Bet in “Sports Arbitrage Sure Money Making Full Guide For Dummies” focuses on why you need top quality softwares, therefore strongly suggest you read it. – Profit Maximiser appeared with no little fanfare in 2013 and proved to be an instant success. What struck most new users was that it was just so darned different. 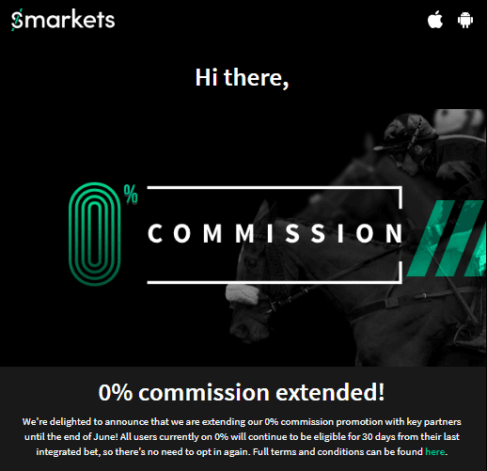 The market was awash with conventional matched betting and bonus bagging services. But Profit Maximiser took a refreshingly novel approach, exploiting all sorts of previously ignored opportunities, such as bingo and casino offers. PM was also one of the first services to attempt to exploit the potential of social media. Its private Facebook group initially appeared something of a bolt-on afterthought, but it has since grown into a core element of the product. Product creator Mike Cruickshank is justly proud of the way the forum has taken on a life of its own, with many (often short-lived) offers being identified by eagle-eyed PM members rather than by Mike himself. There have been some remarkably successful PM members too, with plenty reporting profits of well over £1,000 per month in zero-risk or ultra-low risk mode. WHAT MIKE HAD TO SAYMike was understandably delighted to receive his award, sending “MASSIVE thanks to LBGR readers for voting for me”. He adds, “It’s been immense fun running Profit Maximiser over the last 2 years. “We’ve absolutely crucified the bookies on a level never seen before. The results PMers have been achieving are mind-blowing. “I don’t think PM would be the profit monster it is without the excellent forum contributors posting new strategies, offers & loopholes they’ve found – so a big thanks to them too for sharing their knowledge with our community. “I’ve got big plans for the rest of 2015 / 16 to make it even better!”SUMMARY – AND AN AMAZING OFFER!I have no doubt at all that Profit Maximiser richly deserves its Oscar. Its popularity arises from the simple fact that it is making an awful lot of people an awful lot of money – at almost no risk whatsoever. And if you’d like to get involved, Mike has decided to mark the occasion of his award with an amazing, short-lived offer. Fancy trying Profit Maximiser for a £1? Well… for a limited period, now you can …. just by clicking this link! This extraordinary offer has never been made anywhere else… so get involved now before Mike changes his mind! Maximiser. This equates to £360 per month. Never withdraw from Bookie Account ( Or Limit Withdrawals as much as you can) If you find yourself with a largish bank with any bookie after a win then do not withdraw immediately. Withdrawing anything would not be a problem but if like me you were withdrawing £500 – £700 every 2 or 3 days your account is going to get flagged. If on a quiet day with very little trading opportunities then start doing this method. Scan the market on the win side only and look for any horse from the bookie you want to withdraw from and see if they offer odds the same or higher than what you can lay it off for on the exchanges and back and lay it for £10 – £30 at a time and cross your fingers the How To Avoid Bookmaker Restrictions 4 horse will lose. Also consider doing this on the football market as well and back and lay the low priced favourites. You may have to lay at a few ticks higher on the exchange for this. You’ll win some but mainly you should lose but it helps to bring the money back to your Betfair account without drawing via the bookie. The bookie will see that you are a regular mug punter and losing more than you win and should be happy not closing or restricting your account. This is only a guideline on the stakes you should place with any single bookie to avoid being flagged or winning too much with one single bookie, to be more certain then lower your stakes even more than what I have shown you.  Odds up to 7/1 max stake of £50 eachway.  Odds from 15/2 to 14/1 max stake of £30 eachway.  Odds from 16/1 to 22/1 max stake of £20 eachway.  Odds from 25/1 or more, have max stake of £10 eachway. Firstly, pls accept my great apologies for getting you back so late. No excuse I simply overlooked your 2 inquiries. I believe you find my below answers as Better Late Than Never. – Firstly, many thanks for your word. When it comes to my specific comment about my future article, Not Yet I’m planning to publish it early Jan ’16 by using Betfair as a key example. 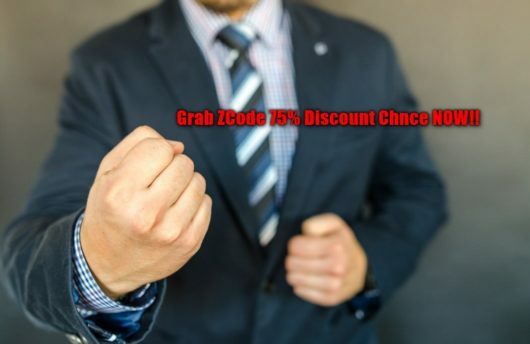 When it comes to arb software, you may consider (if you already use it then good) is Rebel Betting (click HERE) that covers almost all key bookies that welcome sharp punters such as Bookmaker.eu / Pinnacle Sports / Bet On-line / BetCris / BetDSI / 5Dime / the Greek etc. Just FYI. – If I say further, this is in fact related to the overall strategy of Exchange in the arbing. As you’re aware the Exchange never ever care about how much you win, thus arbitrage between bookmaker & exchange is more preferable to bookmaker & bookmaker, and resulting more winning in exchange than in bookmaker is ideal from the perspective of account restriction evasion. I’ll write its details in my future article. Hope these can answer to your questions though, pls never hesitate to ask me anytime if you need further assistance. UK horse racing on Betfair is most often used for scalping. There is lots of money entering the market and the odds move around enough to make a profit. The principle of scalping is simple. Back at a high price and lay at a lower price and vice versa. Here is a simple example. Say there’s a horse called (Fuzzy duck) with odds of 4.4. A back bet of £100 is made. If they odds move lower than 4.4 it is possible to profit. If a lay bet was placed at odds of 4 using £100 that would secure a profit of £40. If the horse wins the back bet pays £340 but the lay bet would have cost £300 giving a £40 profit if the horse wins or nothing if it loses. A risk free bet. What a trader will do is hedge the risk free bet. A trader wouldn’t be happy with a profit only of the horse wins. In order to profit if the horse doesn’t win the trader greens up. A green book means a profitable book and is a beautiful thing :). The disadvantage of scalping is that if the price moves against you the book turns red. Not a pretty sight because it means that the trade will be exited for a loss. The skill is making more winning bets than losing ones. There will always be losing bets. This is a fact of life. There is no point trying to second guess the markets. A better approach is to use tried and tested Betfair scalping techniques. The rest of this article explains two Scalping on Betfair trading techniques. Scalping on Betfair is not possible without using some kind of third party software. Betfair software used for scalping has something called a ladder view, which makes scalp trade easier to make. After turning a trading bank of £200 into over £100,000 by trading short term price fluctuations of odds on horses in UK horse races Adam Todd (pictured) created scalping software for like minded people. Get free Betfair scalping software from Racing Traders. Lots of training videos and guides are provided. Flexible subscription options are available to release all the features. • Whenever the percentage shown is less than 50%, the amount of money waiting to be matched in lay bets is higher than the amount of money waiting to be matched with back bets. • Similarly, whenever the WOM is more than 50%, the amount of money waiting to be matched in back bets is higher than the amount of money waiting to be matched with lay bets. By comparing the percentage of the weight of money for each selection, it is possible to predict how the odds of the market will vary. On the Exchange there are plenty of sports that are turned in-play. This offers a much wider range of opportunities to seek. In the ‘old world’ backing a horse just before the off only to find it misses its kick, would have been a disaster. Now you can correct your position or take a new one immediately the event gets under way by taking advantage of in-play betting. Lots of people now back or lay before an event with the intention of keeping the bet through to the in-play period and cashing out in-play. Bet Angel contains a range of sports specific in-play trading tools to help you do this. Creating a viable system is now within the reach of many people even if you don’t have the time or money to try it. Using software like Bet Angel you can link and bet through a spreadsheet or use its dedicated automation tool. Doing this allows you to explore many betting or trading strategies and techniques on the exchange. Better still, using practice mode you can try any or all of the tools and tactics at no financial risk. The founders of two-year-old start-up Stratagem aim to turn sports betting into a bona fide financial asset class by introducing mathematical principles of quantitative analysis usually associated with fast-trading hedge funds. It offers a platform for punters, syndicates and bookmakers that uses statistical modelling to provide a “fair estimate” of odds across more than 20 football leagues, which are then adjusted with a subjective element that takes into account factors such as a team’s motivation or the quality of shots on goal. The software facilitates trading across exchanges and bookie sites. Stratagem says that it has a dozen customers including investors from big investment houses and is also developing investment products, similar to real money and hedge funds, providing exposure and liquidity. With 65 employees and revenues in the “hundreds of thousands” of pounds, it expects to make a profit next year.